Vehicle-related accidents can happen anywhere and at any time, and the consequences of these accidents can be devastating. It is essential for all drivers to remember the responsibility they have to one another and to keep in mind that negligent driving can be potentially lethal. Accidents that involve bicyclists can be especially severe as these individuals are not protected by a vehicle. 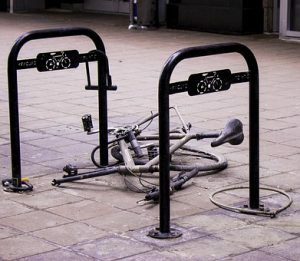 On May 31, police in Upton, Massachusetts received a report of a vehicle accident involving a 15-year-old on a bicycle. The boy was seriously injured after being hit by a car on Wednesday afternoon. Upton police say they responded to a report of a crash that occurred near Station Street and Grove Streets around 3 in the afternoon. The teen was taken to UMass Memorial Medical Center in Worcester to be treated for serious injuries. The driver has been identified as 69-year-old Mary Chiulii. It is not clear at this time whether or not she will face charges. This crash is still being investigated by police. Bicycle accidents can be particularly devastating as bicyclists are not protected in the same way that vehicle drivers are. Impact with a vehicle can do serious damage to people on bikes. It is vital for drivers to remember to check for bicycles and share the road. Bicyclists must also follow the rules of the road and remain cautious. Serious vehicle accidents and bicycle accidents can have dire impacts on victims’ lives. We at the Law Offices of Jeffrey S. Glassman know that these accidents can devastate lives. We wish recovery and health to the victim who was injured in this tragic accident. We must all do our part to keep these accidents from happening. However, we know that accidents do happen, so we are also committed to helping victims get the help they need to focus on their recovery.